Violas stand proud like little soldiers guarding tulips in every color of the rainbow. 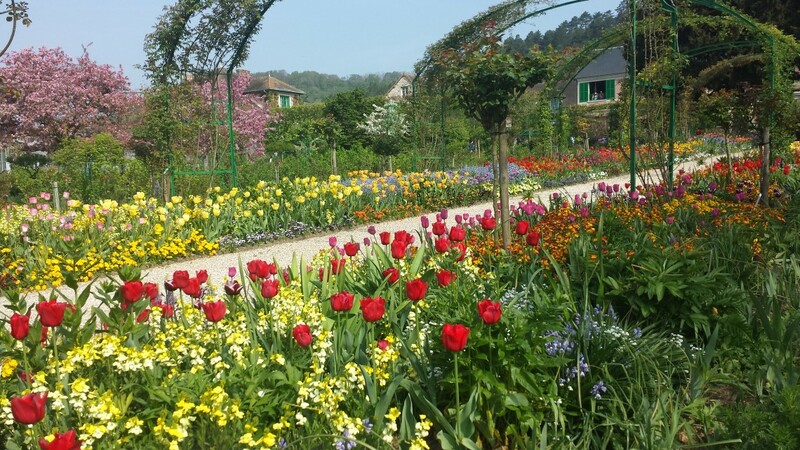 There is no doubt that Giverny, France is beautiful, and each variety of plant that greets you has a distinct personality. Plenty of time can be spent daydreaming while looking across the pond at Monet’s water lilies and seeing the famous Japanese bridge. But, unfortunately, time is often limited on vacation. You want to make the most out of every day. Had we planned a little better, we would not have spent an extra half of a day figuring things out. 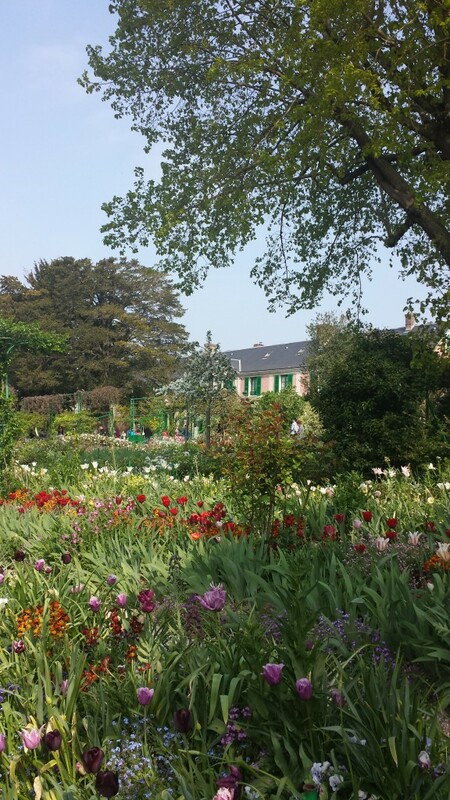 Just three simple tips for visiting Monet’s gardens would have made all the difference on our visit. We left Honfleur in the late morning with the intent to stop in Giverny en route to Paris. This stop was the start of our trip, so we still had three seasons of clothes and too much junk on our moto. Every stop felt a little like a hassle. We were paranoid about leaving our things unattended. All of our gear was still shiny and new and screaming “come on, you know you want this fabulous silver tron-like jacket!” Nothing like the end of the journey when we doubled back through France—the same jacket was so dirty and crusty the flies were hovering above. No joke. Having been to Paris before I knew (at least I thought I knew) what I wanted to see again. Unfortunately, I ignored planning anything before or after Paris. I kept telling myself I would research when we were in Ireland the month before. Instead, I spent my Irish time doing Irish things. This set us up for a string of disappointing days which we did not accomplish or see much of anything. Follow these three tips and avoid the same disappointment. We arrived around noon, and there were more people online than tulips in the gardens. 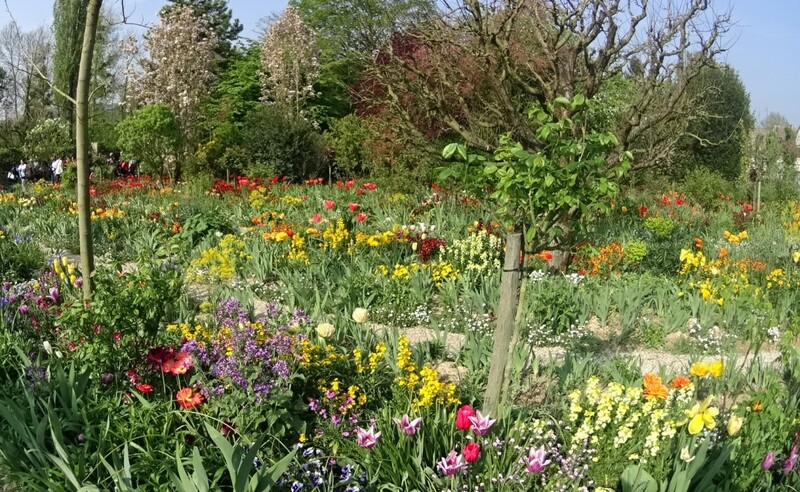 Giverny is best enjoyed within an hour or two of opening. I am not exaggerating. The mass volume of people that arrive within each hour after opening is mind-blowing. 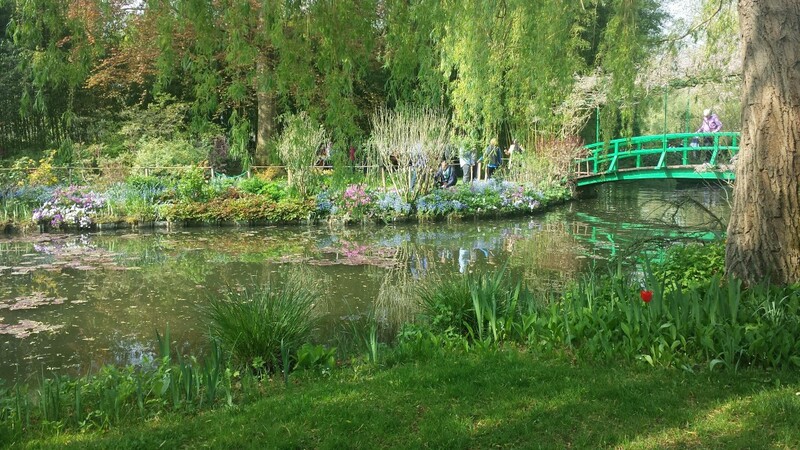 The crowds make it difficult to enjoy the serenity of the gardens, let alone make your way through Monet’s home. The site opens at 9:30 am so best to arrive between 9-9:15ish. I know, I know, you are still waiting then, but it is much more pleasant to pause and enter a space that’s empty than a crowded space. Trust me on this. We quickly learned even if we did get online, there was no guarantee that we would get in as there were so many people ahead of us. Pre-purchased ticket holders use a separate line. The website says no-queuing, but there is a small one. The key here is minor, as in 10 to 20 minutes, unlike hours of waiting. 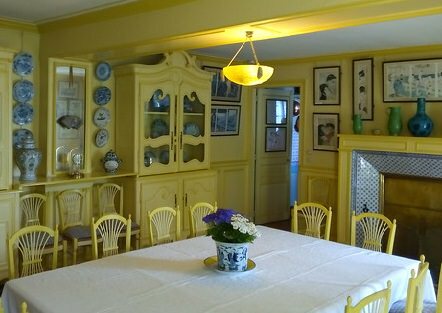 You also have the option to purchase a combo ticket for Monet’s Gardens and the Musée des Impressionnismes in the village. 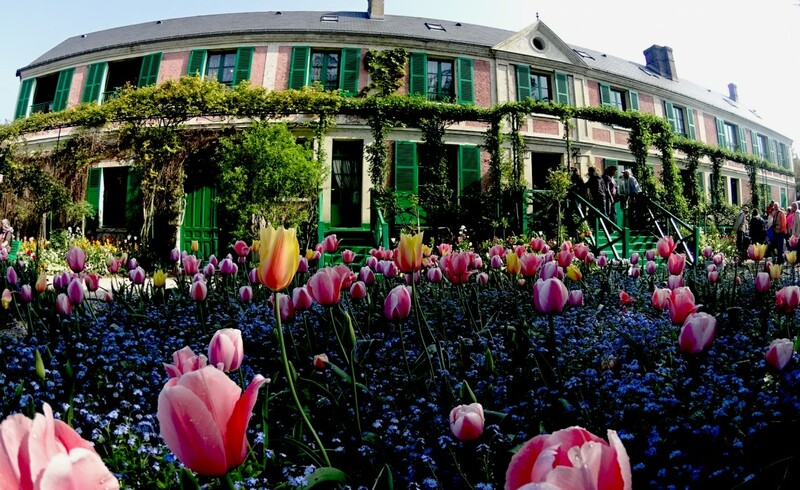 The house and gardens are run by the non-profit organization Foundation Claude Monet. Visit their website, fondation-monet.com/en, to purchase your tickets online. As I said, we stopped en route to Paris. This means we wanted to be in Paris before rush hour. We had very little time to see anything, let alone enjoy ourselves. Once in the gardens, why would you want to rush?! Take your time and enjoy the beauty and nuances of color and texture surrounding you. Embrace the moment, approach the bridge, wander. Every plant was placed purposely. These carefully designed elements are what influenced Monet’s impressionist paintings. Give these moments the attention they deserve. The village is also home to the Musée des Impressionnismes I mention above, and many shops, artist studios, galleries, and cafés. Give yourself enough time to enjoy the gardens and surrounding village. So what did we do? We parked the moto, went to the Restaurant Les Nymphéas, had a fantastic quiche lorraine for lunch with a glass of Chablis, and people watched for an hour. 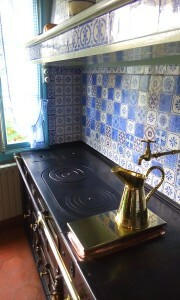 We accepted that if we wanted to enjoy Giverny, we would need to sacrifice one of our days in Paris and come back. So, we precisely did just that. We were relaxed and in the right frame of mind to enjoy the tranquility (albeit imagined as so many people really do visit!) that inspired so many magnificent Monet paintings. How long should you allow? At least a half-day, a full day for relaxed daydreaming. 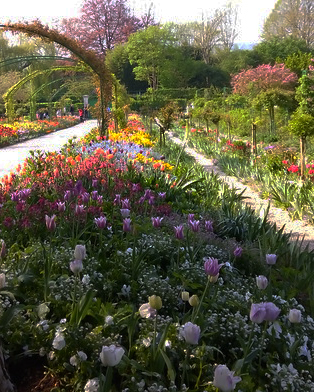 Taking our time wandering thru the tulips in Monet’s Garden, Giverny.